In his small one-room apartment, pastry chef Farzam Fallah clears off the top of his stove and dumps a pile of sketchbooks on top. Some pocket-size, others large and hardcover, each black book is a gastronomical record of trips he’s taken and what he has created at the farm-to-table restaurant Richmond Station in downtown Toronto. He flips open a sketchpad and starts drawing what appears to be a tapered scoop of ice cream on top of a disc of a cake. 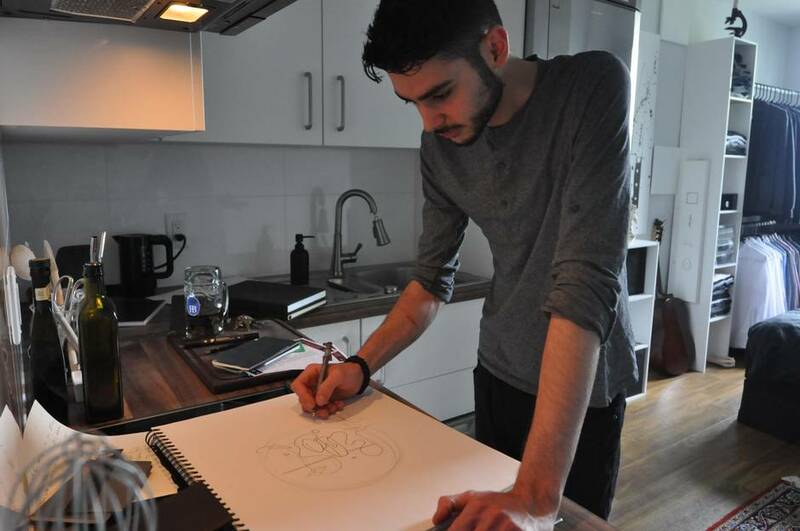 “When I draw, sometimes I stop thinking about the actual dessert and see it as a design more than anything, and it becomes more art than food,” says the 23-year-old whose apartment is adorned with large canvases of his artwork. 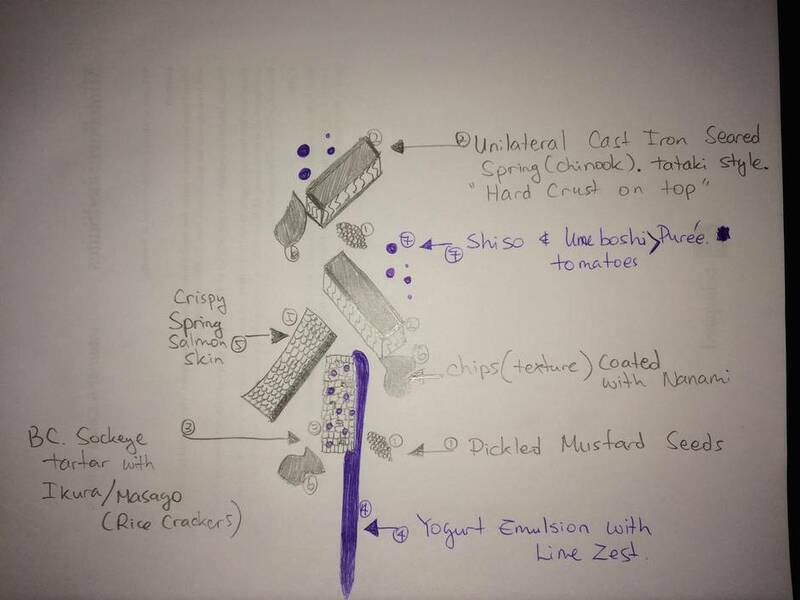 For many chefs, sketching out dishes before they even enter the kitchen is a regular ritual to help find balance in their food from both a taste and visual aspect. 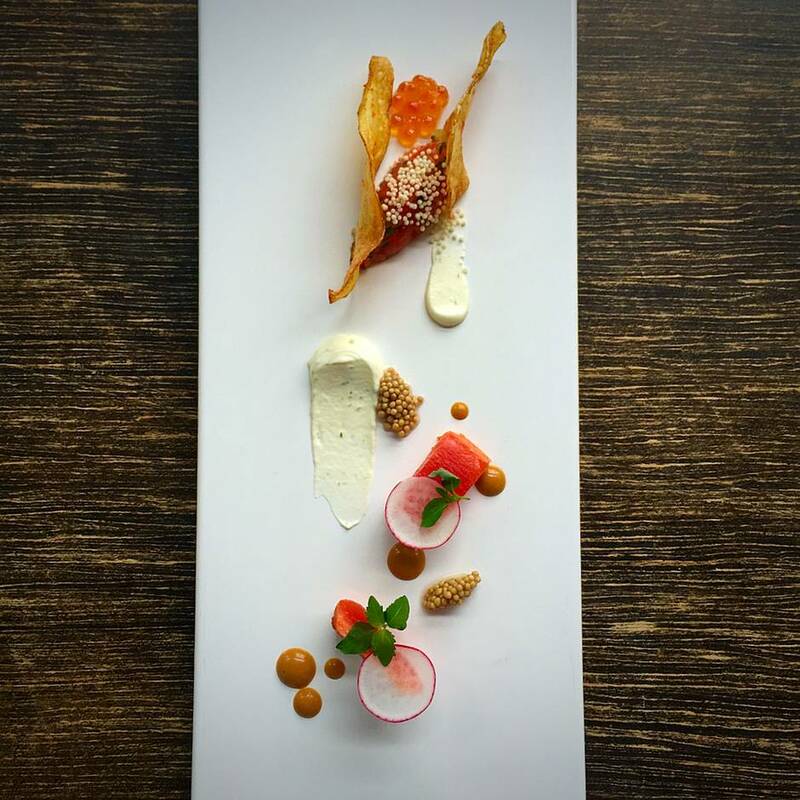 It’s the unseen part of the creative process where the flavour and visual backbone of a dish are mapped out and catalogued. “It’s important for a dessert, or anything really, to have a good balance of structure and the abstract,” says Fallah, as he takes a ruler to score lines on his sketchpad. “The brain likes to see structure, but it gets bored when it sees too much of it. You need a balance of the structured and the weird.” With that, he begins drawing wavy lines on the page, which on a plate would be represented by a coulis, a chocolate sauce or any other kind of sweet reduction to go with a cake or ice cream.